Laundry detergent pods can pose “a serious poisoning risk to young children.” according to a new study published in the journal Pediatrics. 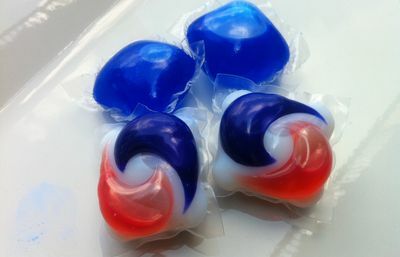 Researchers analyzed records from the National Poison Data System and found that more than 17,000 children under the age of six were exposed to laundry detergent pods from 2012 through 2013. Nearly 80 percent were exposed through ingestion, most of them one and two years of age. Half of the children were treated at home, about a third were treated at a health care facility and released, and around 4 percent were hospitalized. While most of the young patients experienced minor injuries, more than 7 percent suffered a moderate to major medical outcome. One child died. The researchers say the pods have a colorful, candy-like appearance that may attract children, especially during developmental periods when they commonly place items in their mouths. They are asking pediatricians and other health care providers to educate parents and other caregivers about the dangers of these products, as well as the importance of safe storage and careful use. They strongly recommend that households with young children use traditional laundry detergent. The study authors also say a national safety standard is needed to improve product packaging and labeling.